Material: 316L Stainless Steel,Never Rust,Sturdy and Durable,High Quality.Size Adjustable,Both Fit Child & Adult. 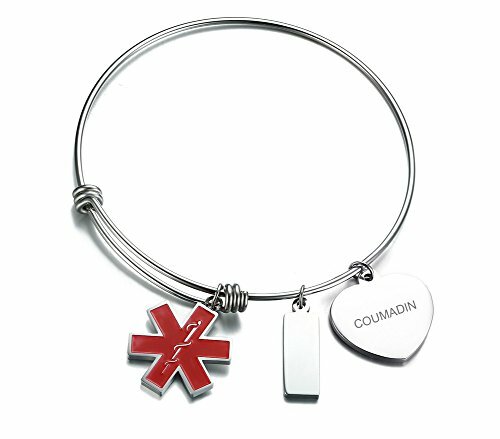 Please Find Other Emergency Medical Jewelry We Offer. If you have any further question, please post into "Customer Questions & Answers" at the bottom of this page or contact us in e-mail,we will reply you in 12 hours. If you have any questions about this product by VNOX, contact us by completing and submitting the form below. If you are looking for a specif part number, please include it with your message.